Biniax-2 is original and entertaining game. Takes a minute to learn and gives you hours and hours of gameplay. Discover the different Biniax-2 faces – for action heroes or careful strategists. Biniax-2 is the successor of Biniax – innovative game, recognized for it’s unique gameplay. 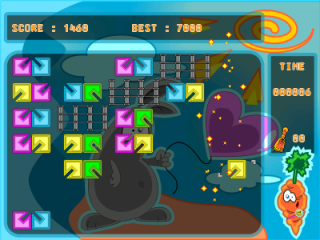 While Biniax is pure game mechanics, Biniax-2 has three game modes (two singleplayer and one multiplayer), hall of fame, dynamic music and nice cartoon look.